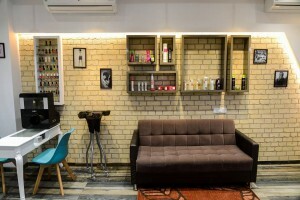 Poise unisex salon - Mumbai- Dimpy Gill (Managing Director).Has over 10 years of Professional Experience in Hair and Beauty Industry. Has served as Innovative Executive and Tecnical Trainer. The design team at Poise Unisex Salon desires to provide you with customized services. 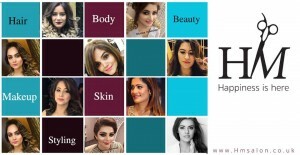 We offer a wide range of Hair services like Hair and Scalp treatments, Customized Coloring and Cutting techniques, Instant Smoothning, Botox Treatments and much more. Each service includes a Consultation, Hair wash, Scalp massage, Blow dry and Styling. Revitalize and Pamper your skin with our top notch treatments like facials, de-tan, cleanups, skin food to help reduce Wrinkles, fine lines, pigmentation, acne, puffiness, discoloration, tanning, black heads, blemishes resulting in brighter, healthier and younger looking skin. Every service includes a free consultation and home care knowledge. Our staff and management at The Wave Hair Salon are in the business of offering the highest possible professional hair care and service, in a warm and friendly, family-oriented environment. We pride ourselves on being that comfortable, down to earth, full service hair salon. We base our success on our positive attitudes towards life, our profession, and our clients.